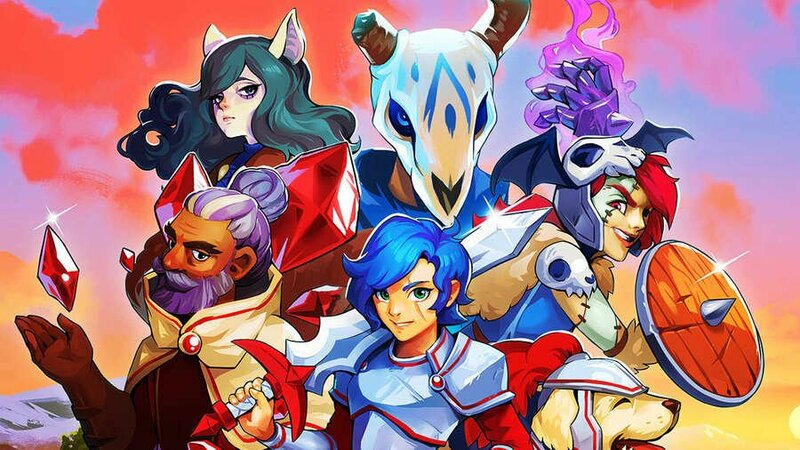 Wargroove developer Chucklefish has shared a blog post to give fans a quick update about the game's future, revealing that its first patch has already been submitted for approval and outlining several other possibilities. This first patch brings with it "a number of bug fixes and other small improvements" that weren’t able to be fixed before release. These fixes include issues relating to multiplayer maps, Fog of War maps, and resigning on matches, but things get a little more interesting as we take a sneak peek at what's coming next. Next, the developer briefly mentions the previously-considered DLC, noting that more info will be shared on this at a later date. Not wanting to leave us without something to get excited about, however, the post says that fans will be "pleasantly surprised" by what's to come. And finally, the team asks for player feedback, mentioning that it's always watching out for your comments on social media and the like. In particular, Chucklefish wants to know your opinions on the game's difficulty. "We’d like to know how you feel about the difficulty of the game, and should you be able to earn 3 stars at lower difficulty settings?" Have you been enjoying Wargroove? How do you feel about its difficulty? Feel free to let us (and Chucklefish) know in the comments below. It's a fantastic game but, and maybe it's just me, it IS really hard. Even just after the first couple levels I've kind of put it down, it's just extremely tough to get ahead and I admit that it could just be me...maybe I'm just not good at Wargroove lol. Just sayin', to me it's a good bit on the side of too hard but it could be that I'm just not hugely into turn-based games like this. Well, its is not a bad game. But obviously did not live up to the hype before its release. Multiplayer is good, but campaign is quite boring. The presentation is as minimal as first Advance Wars game, and music, art style, graphics, and unit design are mediocre. I didn't played too much of the campagin, but I'm working on my own. You can do lot's of stuff, but some things aren't working as they're supposed to be. Let's see how many of the bugs I noticed have been fixed. Is this a joke? The patch was leaked together with the game over a week ago. Remember the key is every unit has a weakness and strength against another type, it goes a long way knowing that especially early on. Truly fantastic game! I think the campaign is very entertaining and not to hard nor easy. There are some bugs the editor, like when using certain sound effects like large explosion, it crashes the Cut scene editor back to Map editor. And some issues with dragons z-index in Cut scene editor, where sometimes it does hide characters behind it and sometimes not, and that happens randomly with or without Block checked. In my case it was a farmer that was behind and in front of the emberwing. this i feel is a very welcome improvement! I've played through act 1 and parts of act 2 during the weekend, and really enjoying it. The game is pretty difficult at the default setting, but it's not unwinnable till this point. Without the difficulty, this game would become very drab, as most of the stuff (hit%, crit criteria, etc.) are quite transparent and predictable. I like the difficulty. Its forcing me to be strategic and think about the strengths/weaknesses of the units. I'm not very good yet. But I'm getting better! The difficulty is fine. You actually have to look at what your opponent is doing and you can easily learn from your mistakes. It's not like it's game over start over the entire campaing if you lose. Be patient. Try to use your troops as they are meant to and don't just think you can stroll through the game. It's a helluva good game and a fantastic strategy game. 2 In the Unit Overview screen it's not all that easy to tell which units are which in the strong/weak against section. Being able to tooltip these or expand the list out to include names would be amazing. And yeah I'd like to earn stars for lower difficulties so that i can view all the lovely concept art. Even if the stars are bronze or silver instead of gold. That doesn't bother me, just lemme at that art! Loving the game so far though, tons of charm and character, great art style and audio. Itching to get home from work and play more! Yes tothis: Make it more difficult to accidentally end a turn. Also, sometimes the cursor gets a bit lost. Not a biggie but maybe there is an easy solve there? @forumposter21 Lots of what you said are in the patch! copy what you wrote on the other feed and tell Chucklefish. I feel it doesn't live up to the hype as others have also said. "Make it more difficult to accidentally end a turn." Yes please! For some unknown reason (to me) I've done this a couple of times. Difficulty is excellent as it is, not too easy, not too hard. The option to skip battle scenes is not something I'd be using a lot, as I love watching these brilliantly animated sequences. @Jokerwolf i've only played handheld - but i struggle with the size of the images of the strength / weaknesses - so i'm kinda guessing. Should i be looking deeper into the 'lore'? @MadMaestroNole Yes, same. I'm starting to figure it out, but since knowing the weaknesses and strengths is essential I feel like you should be able to hover the cursor and get alt-text or something that says "pike" or "archer" or whatever to help clarify. Yes please. I've been having a lot of fun with the game but this is my only minor annoyance. Tried out the multiplayer for the first time earlier and was having a really good game but then accidentally ended my turn before doing anything that's that, there's no coming back. I've done it a couple of times during the campaign too. As far as the difficulty goes, I like it. I'm almost done with Act 5 and so far almost all missions so far I've felt challenged but not overwhelmed. I'm not that great at the game and won't ever three star every mission (I've only got three on about half or so of the missions so far) but it feels like they got the balance right. Yeah, one thing I am learning is that the enemy does not make mistakes or waste turns. I'm having to learn to be more aggressive and proactive. It's like the beginning areas are easier because you're given the advantage but if you don't immediately make use of that advantage you're going to have a hard time. Aside from that I think it looks and plays fantastic. I don't know if I'll stick with it for as long as I initially expected but it's a great game and the presentation is fantastic too. 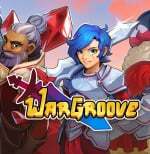 Switch is my first experience with 2D and pixel art graphics but I feel like I've seen enough of it to say that that Wargroove does a good job giving the characters and units a unique and charming identity without going way overboard with the typical Nintendo kitsch. @Fake-E-Lee I hear ya...u wanna play some multiplayer so we can both work on getting better? @Ogbert Thanks! What do you think are the chances we get a Codename S.T.E.A.M. sequel on the Switch? A man can dream, right!?!! I set the weekend aside to play Wargroove, and it's been a joy to be able to return to the well and enjoy more Advance Wars style turn based gaming. While the underlying mechanics are nearly identical, the content is still fresh and fun. I've been extending the content by S-Ranking each mission as I've gone along, and I'm hoping for weeks of gameplay left in the campaign alone. While I love the challenge, I don't see any reason why the stars shouldn't be attainable at lower difficulty levels. As long as it feels sufficiently challenging to S Rank something, that's all the reward I need. Don't tie anything to it. Just those little ribbons are enough. I slammed my face against XCOM Impossible Ironman for months, and that was just for an achievement, which is how it should be. As for other feedback, I'm hopeful that they add more commander customization somewhere down the line. Things like alternate skins and colorations. To be honest, what I'd really like is a mode where the commanders are more specialized. This game is so good, but I can't help but feel that I'd love it even more if there was a place where they let their hair down, disregarded strict balance, and embraced the ridiculousness of favored and weak units by Commander, more differentiated commander units (some ranged, some melee. Some support, some tanky), and crazier Wargrooves. Also, I have a strong feeling the devs have played Warmachine, and I'd love to see more of that influence seep in. Perhaps that will be possible to implement through the editor, or other modifications. I haven't had a chance to play around with that, yet. @Fake-E-Lee It's not just you; as an Advance Wars veteran that's played the series since its US debut, I'd have to say that it's beyond the reach of the average gamer that wanted to pick this up for casual play. The difficulty ramps up quite a bit after like the 3rd or 4th map. It did not go unnoticed by me. Some of the game's rules leave me bewildered; I'm quite used to capturing cities and other structures with my ground troops the way Advance Wars did it, not to mention "healing" those units by simply parking the unit in a city (as long as I had the resources). I do not like capturing something outright and then having to park my unit and THEN having to command to "heal" it using its own health, thereby leaving the structure vulnerable. It's just...too clunky. Also, my memory's fuzzy on this, but I could have sworn Advance Wars would show you where you could move and where you could attack separately. I absolutely do not like the way the two are mixed together in Wargroove; it's confusing, not to mention there are rules in place that prevent a ranged unit from attacking like it should be able to. e.g., In Advance Wars, when an Artillery unit was positioned, it didn't matter where it was so as long the enemy was within range. On a mountain, on the plains, on the plains behind a mountain, it didn't matter. And can they please change the damage modifiers, or get rid of them entirely? If I see 100% damage, then it should be a flat 100% damage, not a possible +5% or -5% modifier to that damage, meaning the attack could be 95% or 105%. The former has me rage a lot because it could make or break a battle. It's bad enough I have to fight the already-nasty difficulty. But other than that, the game's presentation is top-notch. (I love the Battlepups, because dogs. We do not deserve dogs.) Overall, I still like Advance Wars a lot more (especially Dual Strike) but this doesn't make a bad substitute. It just needs work. @MadMaestroNole +1 on trying to distinguish what a unit's strengths and weakness were when fighting other units. If I recall, Advance Wars did this by having a pop-up list of what the unit's strengths and weaknesses were. There was no question after looking at it. @Switchitup Might not be a bad idea, shoot me your friend code or look me up. I'm T.Ferguson in Switch Land lol. @Iacobus I think the capturing in Wargroove is way smarter, as it 1) speeds up the process, 2a) allows captured spaces to defend themselves, almost like creating militia 2b) allows your units to move on, and 3) most importantly, creates a proper economy of healing and defense, in that healing units (hypothetically recruiting militia to fill ranks) weakens captured space. I think it's really elegant. Your other issues I think can be chalked up to this game borrowing as liberally from Fire Emblem as Advance Wars. I also consider myself a Wars vet, and I found pre-Awakening FE impenetrable. @Iacobus It was actually identical, AW just has clearer icons for unit types. @Spiders Part of Advance Wars' appeal was being able to sneak behind enemy lines with just one unit (an Infantry or a Mech) and capture the HQ if the enemy wasn't ready. There's zero of that happening here as you cannot even think of approaching unless you have a really strong unit to simply destroy their command. I'm just not feeling it. I much preferred Advance Wars' simplicity. I have nothing but praise for this game. I've listed out the kinks I experienced in another article, but I'll give my biggest issue with the game. Skip animation. In Advance Wars, you could speed up and slow down the battle cutscenes at will just by holding and releasing B. You could watch the whole sequence in about 2 seconds or less, and still enjoy the satisfaction of sinking that darn Cruiser. If you wanted to outright skip the scenes, well, they had an option in the menu to leave it out entirely.
.) In Wargroove, you also have the option to remove cutscenes, however, there is no speed up. Only a skip that takes 3 seconds. I'm the type of guy that WANTS to see the animations, but those take about 12 seconds or so. The Skip animation feature is pretty useless because all you see is your Swordsmen come up, charge and yell "AAAYYYYEEEE" and right before they swing a satisfying crunch, the cutscene is skipped. So you end up pretty much watching 3 seconds of NOTHING. Please add a feature to speed up the cutscenes, or just have an option to skip IMMEDIATELY. I think I'm in Act 5 of the game now. Loved it so far, the difficulty itself has been fine (if a bit fluctuating), few maps have gone on for a bit too long and there are other little things that could probably be improved upon (many of which seem to be accounted for with the patch). As an Advance Wars fan and a big fan of being able to create my own content I'm very much satisfied, this game is definitely up there. I am really liking the game. A lot of people have said it is really hard, and I guess I can see that if you are unfamiliar with the genre, but you can turn the difficulty down. It's very much a resource control game. Having a slight edge in funds gives you a huge advantage, and in reverse, can put you at a huge disadvantage if you are behind. I'm at the end of act 3 now and my only gripe is that they haven't let me build giants yet, but I've had like 4 missions where my enemies can. Given 2 of them were optional side missions. @Iacobus That sort of sneaking only ever worked because of Advance Wars' relatively poor AI. Honestly that sort of thing should never happen. I found a softlock! I’m not sure where to post about this. I had two allied human teams against an enemy cpu with fog of war on. One of the human teams stepped on the same tile as a unit on the allied team in the fog without seeing it. This made the first unit unusable for its turn, and then on the enemy turn the “stack unit” was attacked. This caused the game to freeze before the combat cutscene was initiated. I tried to replicate it with a simpler setup to capture, but the game didn’t softlock. However, the units still stacked, and the first unit was unusable until the top unit moved. Even without the softlock, the stacking still seems unintended. I’m really enjoying this game, and this hasn’t changed that opinion, I just wanted to inform the devs of the issue. If there’s some place better I can contact them I’d appreciate someone letting me know, thanks. @Fake-E-Lee I can understand you. Someone who doesn't play much strategic turn based games may find it too hard after a while... I think it is alright for now (I do like to play these kind of games more) so maybe they should add a beginner difficulty? There is already a custom difficulty slider where you can lower or increase damage taken, income and the rate the groove bar charges. @Heavyarms55 Actually, it was a very valid tactic in multiplayer. (No self-respecting player would play without fog of war enabled or certain COs would dominate.) You just had to watch out for it by watching the back door. An unwary Infantry or Mech approaching could find themselves the target of an Artillery unit. @Iacobus That's the whole thing though, no one who knows what they are doing would leave the back door open. Such a tactic would only work on an amateur or a very reckless player. I absolutely LOVE the game. It is everything I hoped it would be. I think it's a little bit harder than AW was but I don't mind. But I want clear terms on how to earn different medals. And I think they should change the text Exit under menu > mission to say Exit and Save instead. I had no idea no idea you could create suspend saves. I agree with the effective/weakness icons being hard to read. I've never accidentely ended a turn so I'm not sure how some of you are doing that. @Brumblescope Ah I would love that so much! Really underrated game, it deserves another chance but sadly I think it's a one and done deal now.